The unicorns are celebrating their favorite day of the year, complete with rainbows, cupcakes, butterflies, and all sorts of joyful things. 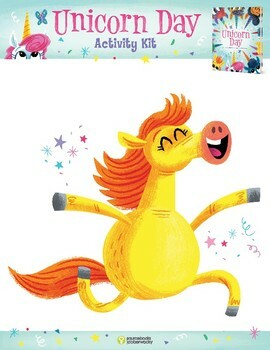 But when it's revealed there's an impostor in their midst, the party comes to a screeching halt...Will the unicorns welcome all and continue their fun in all its glittery glory? 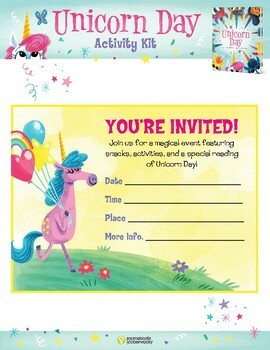 Now your students can throw their very own unicorn day party as you embrace the uniqueness of each special unicorn in your class. 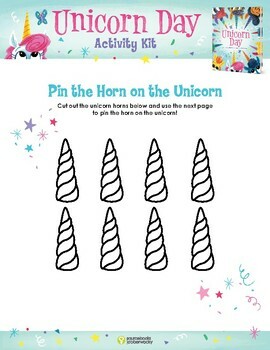 Make your own unicorn horns, have a coloring contest, play pin the horn on the unicorn, and more. 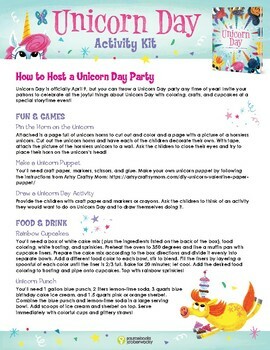 This activity kit has everything you need to throw the best unicorn day party ever!